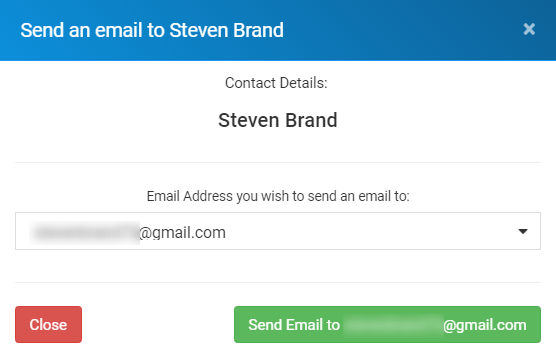 You can initiate an email from wherever you see the ‘Send Email’ icon as shown below in the contact record. 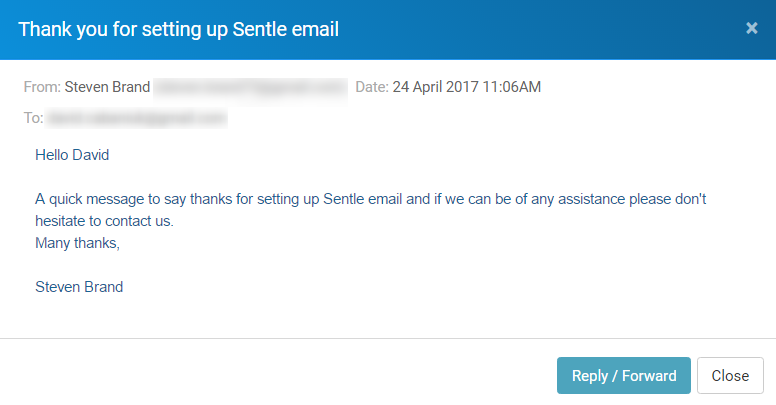 This allows you to quickly create an email without have to manually navigate to the email area within Sentle. Simply click on the icon to create a new email to your chosen contact. Clicking on the green ‘Send Email to’ button in the bottom right of the window will take you to the email edit window in the same way as it would if you were creating an email directly through the email area. Emails that are associated to a known contact will show up in their activity timeline as below. From here you are able to open a preview ‘view email’ that gives you the option to Reply/Forward the email. Clicking on this button will take you back into the email editor from where you are able to process the email as described previously in this article.